EdR, one of the nation's largest developers, owners and managers of high-quality collegiate housing communities, has announced plans for a complete redevelopment of one of its off-campus communities, Players Club, at Florida State University (FSU) in Tallahassee, Fla.
"The location of Players Club is still ideal and it gives us an opportunity to redevelop the community to achieve favorable investment returns," said EdR president Tom Trubiana. "Our market research shows strong demand at FSU for a highly-amenitized community at this prime location." The Players Club first opened in 1993 as a 336-bed community near the FSU campus. When the redevelopment is complete in summer 2018, the community will provide 596 beds that include state-of-the-art features and amenities. Redevelopment and construction costs are expected to be $37.5 million. Construction will begin in May 2017 following the 2016-17 academic year. The new Player's Club will open in summer 2018 in time for the 2018-19 school year. 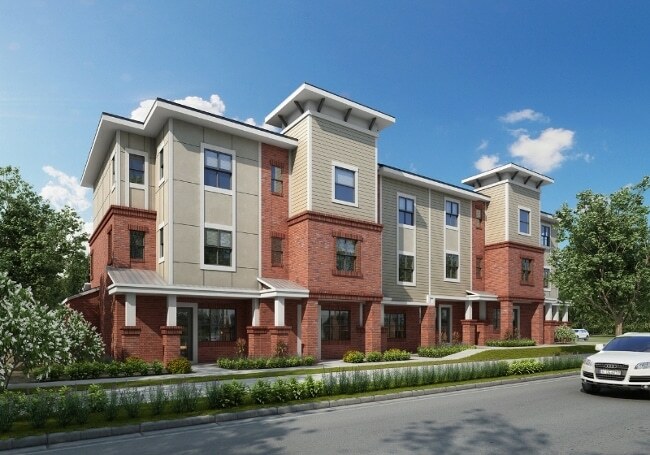 The new community will be a mix of two- and four-bedroom apartments as well as four-bedroom townhomes. Each apartment will have bed-bath parity. Amenities will include a new pool, aqua lounge, dog washing station, in-room washer/dryer, granite countertops and robust internet and Wi-Fi throughout the community. Florida State University's total enrollment in 2015 was 41,473 and has been steadily expanding over the last five years. FSU comprises 16 colleges and more than 360 programs of study and was rated in the top 50 of public universities in U.S. News and World Report's 2016 rankings.